It’s been quite a week! On the outside looking in, it may not look like much, but dig a bit deeper and you’ll see that God has let us see his hand at work. Wanting to have a lot of last minute things tidied up and in good shape for Bro. Brochu’s arrival, the entire church congregation stayed last Sunday after church and spent the afternoon together. We started off by having dinner (Domino’s Pizza – How French is that!?) then proceeded to work. One team tackled the inside of the building while the other went after the outside, and everyone helped; even the kids hauled branches, whipper-snipped grass, etc. The expression “Many hands make light work” was once again proven right! We had a pile of work to do, but were done shortly after 5pm… early! I joked to someone afterward about our bonfire ministry… because this was now the 5th time since Spring that we all gathered ’round a bonfire to finish off the day… roasting marshmallows and making smores (unknown to the French). In fact… there is some legitimacy to what I said in jest; there really is an element of ministry there, because it brings people together to relax after sharing a common accomplishment. Not only is there an aspect of fellowship, but working together fosters a shared sense of ownership with regard to the church building & property. We had a wonderful afternoon together and accomplished a great deal! On Tuesday afternoon, Bro. Brochu arrived after several days of meetings in the Paris region, but even his days in Châtellerault were far from restful. There were a number of files to get caught up on, people to catch up with and he spoke in our mid-week service on Wednesday. You know, sometimes you wonder what missionary life is like and suppose that it’s all Bible study and preaching. The reality is that there are many practical questions to manage just as there would be in a North American setting with this difference: French bureaucracy. For example: there is some painting to be done on the front of one of our buildings but due to zoning requirements, a project plan needs to be drawn up including photos & paint samples. It must be submitted to a committee of the Architects of France who will take 2-3 months to grant permission to PAINT the front of your building. Such mundane details are also part of missionary life (I’m SO glad the Bro. Brochu is here to work through that file). It was good for the church to hear the voice of their pastor. We’re thankful that the Lord allowed him to come back, if only for a short visit. It’s good to reconnect face-to-face. One of the other things I’ve been working on this week is a 4-page PDF document entitled Top15 in 2015: highlights the top 15 moments of ministry involvement and family life during our first eleven months as AIMers in France. This weekend, you can support us by praying for the youth convention happening today & tomorrow. There will be 5 from our church that are hungry to receive the baptism of the Holy Ghost and grow in Christ. Did you know that we’re starting week #39 of 2015? Last Sunday after service, we embarked on a much anticipated afternoon! We’d planned a youth outing which included 4 hours of ziplining, followed by a bonfire back at the church for roasting marshmallows and hot-dogs (generally uncommon for most European kids). It was a bit of a task because I was the only participating adult that day… so it involved balancing the younger ones’ need to remain on easier courses and the older ones’ longing for death-defying heights! We struck a good balance. There were 9 kids in total which was awesome! First time we’ve had that many since the Spring. Between the “Tip-toeing through the tree-tops” and “fire-side fun”, it was a great bonding time for this group of kids. We’d been looking at prayer for the past couple of weeks, so we took a time and focused on prayer. Each one present wrote down a couple of key prayer requests, sealed them in an envelope and we’ll open them up in several months to give God glory for answering specifically. Each one prayed on their own for 30min or so, then we came together to pray corporately. We prayed for the requests that had just been made and then capped off our time by praying around a map of the US (where we’ve been tracing the Brochu’s deputation travels). Specifically… we focused on Nashville, TN where Thursday night was the Global Missions service, the outcome of which would impact the Brochus return. That Thursday night service was incredible. I caught the livestream which, with a 7hr time difference, meant that church for me began at 1:30am and went until after 4:00am (four late nights all in all and coffee has been my friend!). Combined 7 years of deputation travel eliminated. We serve a great God and are part of a great body of believers! I’m THANKFUL for the family of God. Generally speaking, we feel like we’re just getting settled in! We’d mentally prepared for 2 years and don’t foresee a return before then. Interrupting the kids’ school year is not ideal so any return would likely happen outside of the kids regular school year. There’s still lots of work to do in France… So for now, keep giving and keep praying. In other news… I planted lettuce in the garden this week (surely different from back home). I turned over a small plot in the backyard so it’d be better ready for next Spring and when my neighbour noticed it, he asked if I’d like some lettuce: He was thinning out his and assured me that we could easily have another month or two of growing season. Very excited to see what comes of it. Aside from our itsy-bitsy plot… our neighbours – on either side – have blessed us several times (including again this week) with overflow from their gardens: a couple baskets of tomatoes, apples, parsley, basil, zucchini, rosemary, cherries, and lots of tips. I love having such good relationships with our neighbours… they’re a little bit like family really. That’s it for today. Whether you’re reading this from home over coffee or in a plane somewhere on your way home from General Conference… thank you for checking in again this week. Let what you read inform your prayers for France and for us! G’morning from France. I usually try to write posts a day or two ahead of time and then schedule them for publishing on Saturday… but today as I begin to write you, it’s also Saturday (about 3:30am in the Atlantic time zone, 7:30 here in France). Dominic & I came to Pat-à-Pain, our favourite neighbourhood wifi spot, where we’re having pain au chocolate, café crème and an OJ. He’s “Clash-of-Clan-ing” and we’ll hang for a while after I’m done. Last Sunday we held a sendoff service for the Brochus. He preached on the need for a move of the Spirit of God, like a river of living water, in order for us to bring life to those around us. That is the message that he wanted to leave with the church as he & Sis. Brochu prepared to leave for their deputation. They leave this morning for one week of regional meetings in Israel. Next Sunday they will have their final service in Paris-Centre and return to Châtellerault for 2 days before flying back to the USA. These are extremely busy times for them and we can totally relate as it was only two months ago that we were doing many of the same things. After the message and time at the altar we had several a farewell presentations in their honour. The Sunday School kids did a poem and a skit depicting the hectic life of a busy pastor & missionary. Pictured above is Sis. Christelle reading two poems that she wrote in honor of of Bro. & Sis. Brochu. Liz & I presented the Brochus with a gift for the church… a turned-wood anointing oil flask, hand crafted by Rev. Ron Bohde, Pastor of Bethel UPC (Hillsboro, Oregon). We’d purchased it at general conference in St. Louis, back in the fall, but held onto it, waiting for just the right occasion. During the dinner afterwards the kids got a chance to just hang out with the other kids and bond. I must say… this service was somewhat emotional for me, which took me by surprise. I was more emotional than I was during our installation service. I think it’s the realization that the weight of pastoring will now fall primarily on our shoulders whereas before “the leader” was always there and I functioned much as I always had… as a “second man”. This service went a step further to underscoring the change. Following that service we took a drive to the village of Oyré, about 7km away. It’s a village of only about 1,000 people, but at the center is the Saint-Sulpice Church, which dates from the 12th Century. How amazing is that?! This building is roughly 850 years old. Here you can also see the family gathered at… you guessed it: Pat-à-pain for treats and wifi time. Before leaving, friends sent us off with 200 euros in hand… we’ve chosen to use it for these weekly family wifi-treat nights. It has allowed us to get out of the house a bit and allowed the kids to connect with friends via chat / FaceTime. (the clown-face pics were just them cutting up at another time… but seemed appropriate). Below is something that all Canadian children will immediately recognize… Kraft Dinner (I think it’s known in the USA as “Mac & Cheese”). In any case… you can’t get it here in France. Liz brought a number of boxes that we ration. It’s only the second time we’ve had it since arriving. I spent some time this week working on a church website. It will be similar to this site in that it will be a WordPress site, but will be a more simple in layout. Watch for it in the next few weeks. I also spent some time doing landscaping yardwork at the church, trimming & pruning mainly. It hadn’t been done for a couple of years. The French are quite particular about the maintenance of shrubs & hedges… so it’s one way to present the church well to the community. We’ve also spent time with the Brochus going through their house in preparation for our move there this Thursday. The closing date for the sale on our house in Saint John is also this Thursday. Please pray that everything goes well there. It will be nice to have that off our minds. We thank God for what we consider a miracle: The deal was struck the day of our departure and, given the real estate market there and the fact that it’s a winter sale…. it’s a miracle that it sold that fast. This past Thursday, I got to meet our closest neighbouring pastor, Bro. Chartier, who is roughly a 2hr drive from here, in Bourges. The work is similar in size to Châtellerault but they don’t yet have their own building. He came to pick up a baptistry that was being stored here as he has 5 people wanting to be baptized. Thank you Lord! The Lord challenged me this week while reading 1 Corinthians 4. Paul said he would come and would be able to judge the quality of their relationship with God… not by the words they spoke, but by the power exhibited in their life for, “the Kingdom of God is not in word but in power” (v.20). The challenge to me: words are very easy to produce (this blog is the proof), but the power of God, manifested in the life of a Christian is not something I can “produce” apart from a close walk with Him. Lord… guide my steps so that I’m not limited to just words. God bless you today & Thank you for checking in! ….let this post inform your prayers for us & for France. Today we want to serve up to you some news directly from Pastor & Mrs. Paul & Darla Brochu. Why do I refer to them as “our Missionaries” in the title of this post? Many of you know the Brochus already, but for the benefit of any who may not, these are the missionaries whose shoes we will be trying to fill during their deputation travels in the United States. We have had the privilege of working with them in the past, enjoy an important friendship and look forward to carrying forward their vision during the time of our stay in Châtellerault, beginning in late-January. Focus on France is the title of their Partners in Missions newsletter. You can also connect with them via their Focus on France FaceBook Page. Greetings, Partners and Friends ! As it pertains to the work of God, great, great things are happening in France and throughout Europe! What a privilege it is to be about God’s business in these last days. The darker the obscurity of this world, the brighter the Light of the glorious Gospel of Jesus Christ! Since hosting a group of young intercessors from Mission Point Church of Saint John, NB last summer, prayer walks and prayer drives have continued each week in and around Châtellerault with amazing results. We’ve had trained Apostolic help move in from other parts of France. We’ve had an increase in church attendance. We’ve made new contacts and have had several new Home Bible Studies. God is impacting these new attendees, and the local church has also been impacted in a very positive way. Please keep the work in Châtellerault in your prayers. Planting this church in the West of provincial France has been no small challenge! The international work known as the “UPC of Paris Centre” is thriving, with 7 water baptisms since our last newsletter, and new ones receiving the Holy Ghost regularly. Our numbers there are also up with an average attendance of close to 70 people in our worship services. Currently limited to meeting just a few hours together on Sundays, we’re seeking a bigger place to rent that we can have throughout the week. Will you help us pray? Thank you for the role you play in making all of this possible. God bless you richly for your faithful support and prayers! For more information on “our missionaries” you can click here. 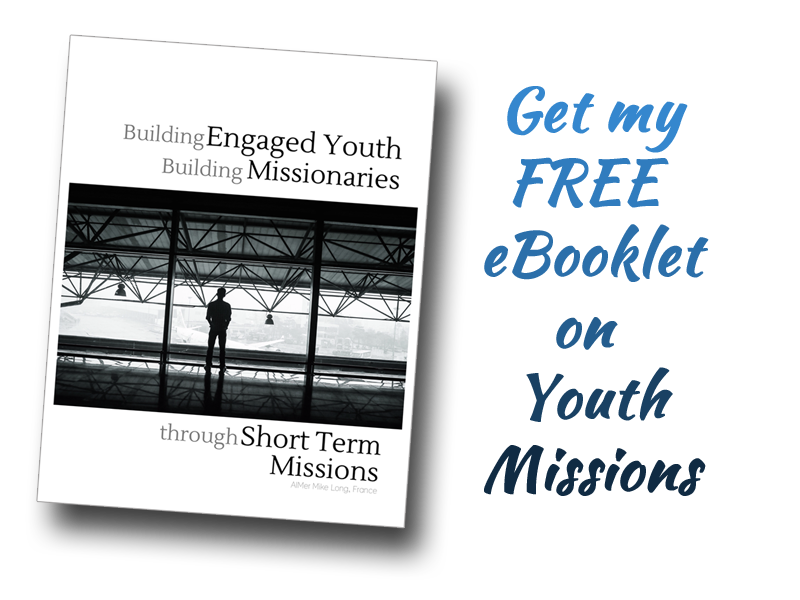 Want to support “our missionaries” ? Click the “Support Us” link on this page.